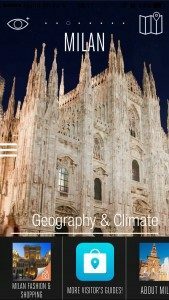 When it comes to navigating the city like a local, Milan is such a popular destination that it can be a challenge to wade through the sea of books, blogs, websites and magazines to truly find the best advice. But what could be easier than pulling out your phone? With these nine apps, you can explore the city’s food culture, brush up on your history, learn Italian, find a hotel and more. DUOLINGO: Learn Italian on the go! 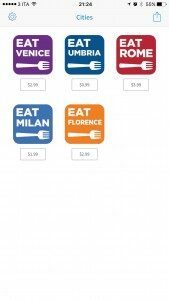 This fun and easy-to-use app is like having an Italian teacher in your pocket that you can pull out when you’re riding the bus, taking a cappuccino break, or waiting for your pasta water to boil. 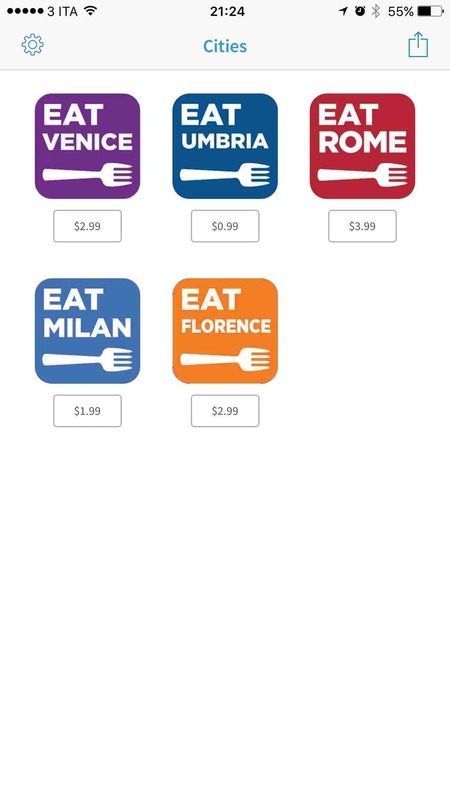 Each mini lesson takes you through a language or grammar skill using pictures, short translations, listening activities and more to help you brush up on your Italian basics or solidify key language concepts all in a fun and easy to use format. CAR2GO & ENJOY: Want a smart car? Any smart car? You won’t believe how easy it is to use these two services. It’s like having 500 of your own private smart cars scattered across the city just waiting for you to take a drive! If you have Car2Go and Enjoy in your pocket, you’ll never be without a ride. You can register online with Car2Go or Enjoy. Both have simple processes. Each service requires a onetime registration fee, a valid driver’s license and a credit card. Anytime you need a car, simply open these free apps and find a car near you! Each app will only charge you a few cents per minute to drive anywhere you want in the city. 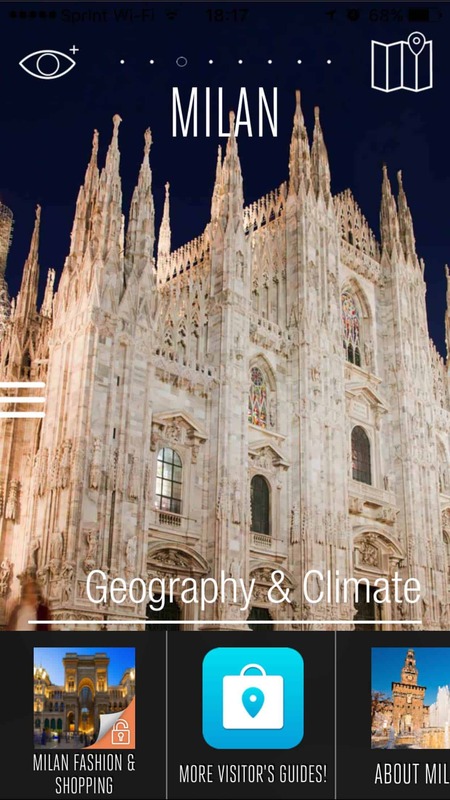 Milan is one of the biggest cities of northern Italy, and the list of adventures waiting for you are endless. Finding exciting nightlife, restaurants, and the currency exchange rate are just some of its useful features. You can even find a hotel nearby or check the forecast for the week. 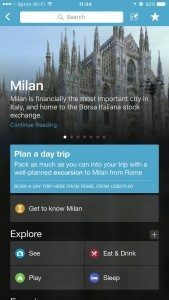 Experiencing “la dolce vita” (the sweet life) in Italy just got easier, especially since this app is available offline. Let Triposo be your travel guide and help you experience all Milan has to offer. Elizabeth Minchilli has been writing about food for years, has penned seven books, and contributed to over 40 magazines. If you have both her and Katie Parla in your pocket, you’ll never be disappointed when dining out again! Milan is full of mouth-watering food and it would be a sin to miss the cuisine that is such an essential part of the Italian character. In her app and on her blog (elizabethminchilliinrome.com) Elizabeth offers her insights on where to find (and taste!) the best of the best. Ulmon’s maps are extremely detailed, offering information on where to eat, drink, shop, find a hotel, and sightsee. These features are all available offline so you don’t have to worry about racking up roaming charges. Search its list of top places to visit (complete with contact info, address, and description), find your closest metro and bus stops, or zoom in on your location and discover what’s near you and worth going to see. Add your own reviews, ratings, and pictures. You’ll be an expert before you know it! If you are looking to save money and avoid buying bottled water during your stay in Milan, this app is for you. 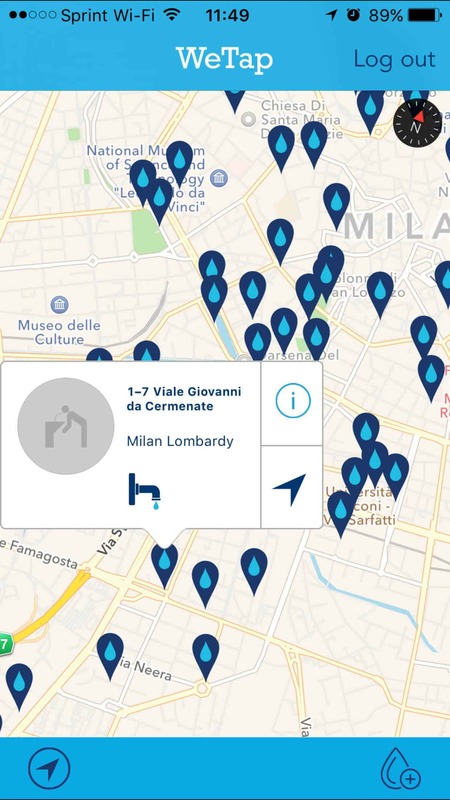 WeTap uses your location and shows you the nasoni (public drinking fountains) that are conveniently located around you here in the city. Milan has hundreds of these fountains and some locals even say it’s the best water you can get here. It’s perfect if you are on the go and want to fill up your reusable water bottle. 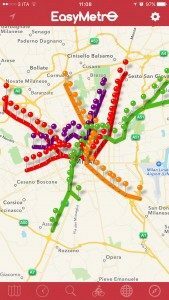 If taking the metro is your favorite way to get around Milan, this app will be incredibly useful to you. 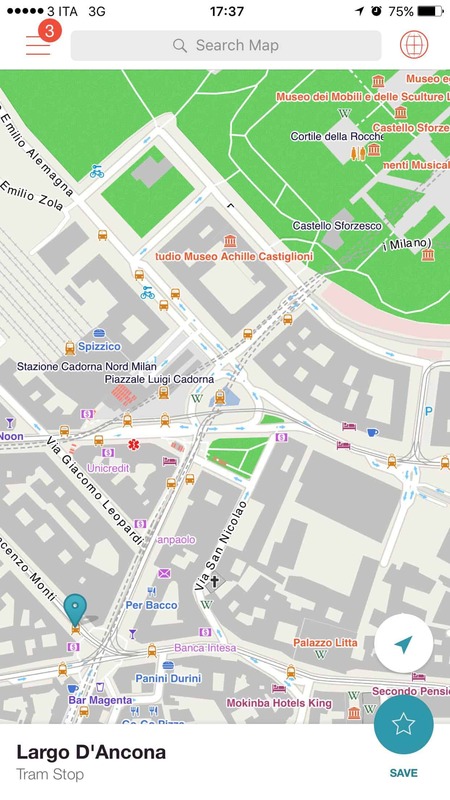 Find hotels, restaurants, bars, markets and more near each station. Upgrade for $0.99 to gain “Pro Access”, which offers offline maps and turn-by-turn directions. Receive news from other users to learn about any strikes, events or disruptions that may be going on. Taking the metro just got a little easier with this app. 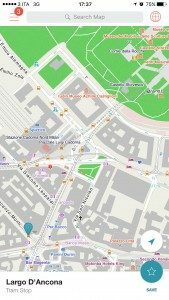 This app offers useful information about the geography, climate and economy of this beautiful city. You can easily find great fashion and shopping tips, hotels, restaurants, nightlife, and more all at your finger tips. Unlock the full travel guide for $3.99 and get access to detailed street maps, augmented reality, and a metro map all offline! 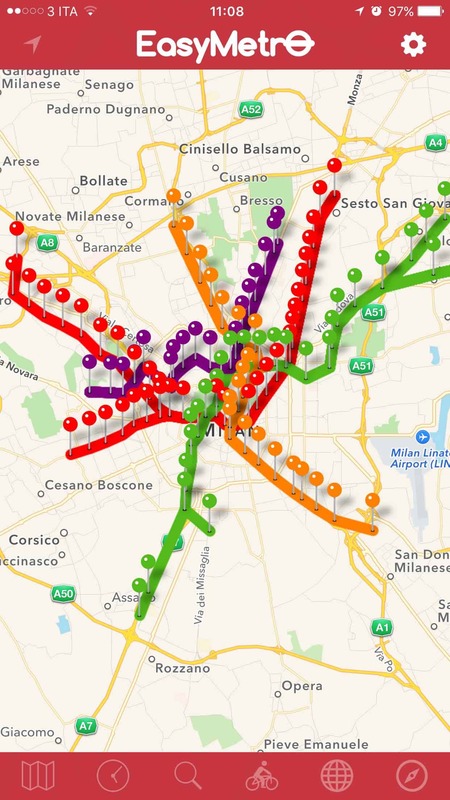 If you want to thoroughly see Milan, this is an app you should turn to. 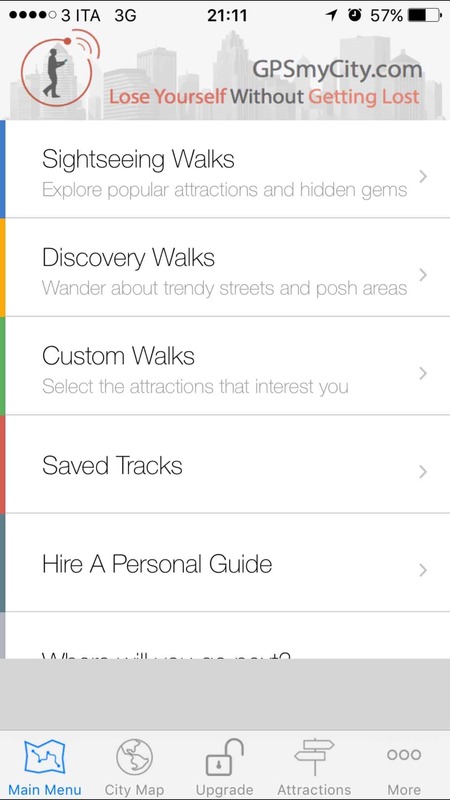 Instead of paying for an expensive tour guide, be your own guide with this app. 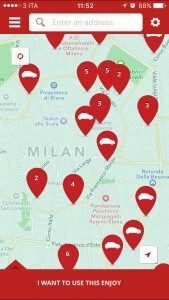 Choose from a variety of scenic walks from “Core of Centro Storico” to “Shopping Tour of Milan” and simply follow the route laid out on their map. Search for a coffee shop near by or even a hotel for the night. Upgrade to the full version for $4.99 to get offline access and precise turn-by-turn walking directions. 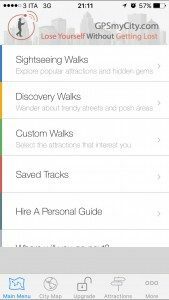 You can even make your own custom walks around historic monuments you want to see. This fun and easy to use app is sure to make your trip memorable. A caffeine dependent college student exploring her Italian roots, Maggie is a junior from the University of Minnesota with a major in communication, media, and rhetoric. She is studying abroad in Rome from January to the end of April of 2016. When she's not busy with school or writing articles for the magazine, you can find her eating gelato, sipping a cappuccino, or shopping on Via del Corso with her friends. When she graduates in the spring of 2017, she plans on finding work with a large magazine company in the U.S.